The above quote from former WCW and WWE exec Eric Bischoff has long blighted this conversation. Whether or not a man as intelligent as he is believes a word of what he’s saying is another question, but the crux of his point was this. One is a real sport, and one is scripted entertainment. However dig slightly beneath the surface and it becomes apparent that it may not be quite so cut and dry. It is important when looking at a topic such as this to understand the subtle but important differences in ‘fixed’ fights. There is a long history in boxing on fighters ‘taking a dive’. Prominent (and obvious) examples include the iconic Jake LaMotta’s 1947 loss to Billy Fox. LaMotta was one of the fastest rising prospects in the sport at the time and despite almost knocking journeyman middleweight Billy Fox out in the first round, managed to succumb to a painfully blatant 4th round TKO at Madison Square Garden. LaMotta later admitted he took the fall to appease the Mob, who were largely in control of boxing in the US at the time. A similar story is largely accepted to be true of another notoriously Mob connected boxer in Sonny Liston and his 2nd loss to Muhammad Ali. Coming just 1 year after going 6 rounds in their first bout and retiring injured, Liston would go down spectacularly in the 1st round from what has come to be known as ‘The Phantom Punch’. Whilst the naming may be harsh as the punch certainly landed, it barely grazed the head of the former Heavyweight champion and seemed unlikely to cause such destructive impact. Aside from the ‘dive’, there is also the ‘work’. . To put it simply, in the US the two competitors will get together before the match and work through the big moments, flashpoints and key moves in the match. They’re referred to as ‘spots’ and the wrestlers will work together (in theory) to put on a smooth, cohesive performance. In Japan, as Chael Sonnen has been so keen to point out at various stages of his own fighting career, Professional Wrestling works a little differently. The ‘puroresu’ style looks far more legitimate. Whilst the competitors will be fully aware of the result, discussion over the nature of the match is kept to a minimum, and information is often relayed to the workers by the promoters themselves, leading to the matches looking far more improvised and real. Japanese MMA and Pro Wrestling go hand-in-hand. Not only have big events historically showcased MMA fights alongside marquee matches from the likes of New Japan or All Japan Pro Wrestling, but a lot of the same faces have popped up in both disciplines. Pride saw the likes of Nobuhiko Takada and Kazushi Sakuraba, whilst Pancrase was founded by New Japan Pro Wrestling standouts Masakatsu Funaki and Minoru Suzuki. Whilst the above instance is extremely well known, Japan also played host to numerous other questionable fights. Pancrase, one of the oldest known promotions to promote fights (supposedly) without pre-determined outcomes was certainly prone to it also. With its pro-wrestling style rule set including a ban on closed-fist strikes, Pancrase played host to two future legends of the sport in Ken Shamrock vs Matt Hume back in 1994. Even the most ardent naysayer would have a hard time arguing that Shamrock’s flashy Northern Light’s Suplex finish wasn’t at least a little ‘showy’. An unofficial co-founder of Pancrase, Shamrock used the same move during his time in Pro Wrestling Fujiwara Gumi, where he worked as Wayne Shamrock. Another potential Shamrock work was his fight with Minoru Suzuki (now available on UFC Fightpass), to whom he lost the King of Pancrase title just one month prior to defeating Dan Severn at UFC 6. A classic case of dropping the title and putting over the new champion on your way out of the territory, a professional wrestling staple for decades. This came after Shamrock also lost to fellow Pro Wrestling stand out Masakatsu Funaki, just 8 days before beating Christophe Leininger and Felix Mitchell on the same night at UFC 3. Whilst we could go through an almost never ending list where instances similar to those above have taken place, it feels far more important to ask the question, why do it? Surely the whole appeal of fighting is to see who is really the king? As is often the case, the answers can be found in dollars. Or possibly Yen in this case. Combat sport is unique to football or golf or basketball in the sense that it’s driven first and foremost by promotion. Yes, Ken Shamrock may have been the number one talent in Pancrase at the time, but do you risk the reputation of your entire company on him not getting a beating at the hands of Dan Severn? Or him not getting tapped by Royce Gracie? 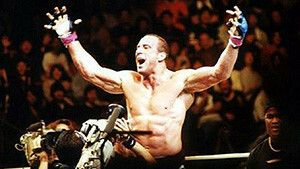 Likewise in Pride, though Mark Coleman (who, bear in mind had just been starched by Pete Williams in between two decision losses under the UFC banner) may be able to Ground’n’Pound Takada’s face in before breakfast, doesn’t it make more money long term if the fans think their own heroes are the stars of the sport? Whilst a promotional juggernaut like the UFC will trundle along no matter who the names are, other organisations note the need to create new stars and keep your big names and important titles looking strong. As mentioned, combat sport is unique. Its money driven and that, love it or hate it, will often trump integrity.